Healthy primary (baby) teeth allow for proper chewing and eating, provide space for and guide the eruption of the permanent teeth, permit normal development of the jaw, and effect the development of speech. The self-image that healthy teeth gives is immeasurable. The front four primary teeth remain in the mouth until 6-7 years of age. The primary molars and canines are not replaced until 9-13 years of age. However, primary teeth health is often disregarded by adults. Since primary teeth guide the permanent teeth into place, infants with missing primary teeth or infants who prematurely lose primary teeth may require a space maintainer. A space maintainer is a device used to hold the natural space open. Without a maintainer, the teeth can tilt toward the empty space and cause permanent teeth to come in crooked. Missing teeth should always be mentioned to your family dentist to ensure a well maintained primary teeth health. The way your child cares for his/her primary teeth plays a critical role in how he/she treats the permanent teeth. Children and adults are equally susceptible to plaque and gum problems—hence, the need for regular care and dental checkups. 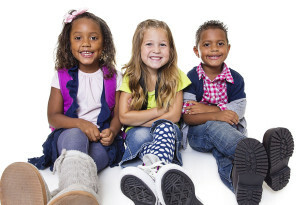 Schedule an appointment today to check on your child’s primary teeth health!